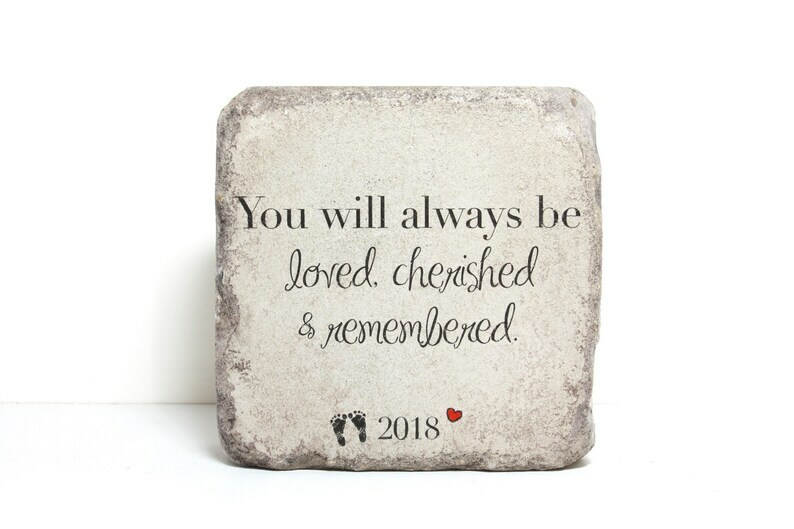 This is where you leave the message (Our Sweet Baby) or name and date for the bottom of the stone. Any length of name and date can fit. YOU CHOOSE: Date/ Name to be added to the bottom (any length of name and date can fit) The footprints are optional. NEED IT ASAP? Choose the "RUSH MY ORDER" option at checkout and I will get it MADE within 1-2 business days.